Drainage specialist UKDN Waterflow (LG) Ltd has welcomed a new national standard for wet wipes designed to be disposed of down toilets. Wipe manufacturers can now feature an official water industry ‘Fine to Flush’ symbol on their packaging if their products pass strict scientific tests. Industry body Water UK has teamed up with water companies to create the new ‘Fine to Flush’ standard to tackle the tens of thousands of blockages caused by wet wipes every year. Michelle Ringland, Head of Marketing at UKDN Waterflow (LG), said: “Companies being able to use the Fine to Flush label on their packaging is a significant step in the right direction. However, while the initiative is a positive development, UKDN Waterflow (LG) wants further action to prevent wipes from clogging sewers and damaging the environment. As well as contributing to sewer blockages, including now notorious fatbergs, wipes pollute beaches and lead to plastics getting into waterways and oceans, creating a threat to marine life. Water UK is concerned that currently labelling of wipes can cause confusion amongst consumers, contributing to sewer blockage problems. It says many wipes on the market currently labelled as ‘flushable’ would not meet the standard needed to receive the ‘Fine to Flush’ symbol. Research carried out in 2017 showed wipes can make up around 93 per cent of material in sewer blockages. These wipes – which included a high proportion of baby wipes – are not designed to be flushed. 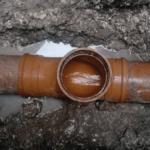 UKDN Waterflow (LG) sister company Lanes Group plc is the forefront of the battle against fatbergs. As the wastewater network services partner for Thames Water, it cleared the 250-metre-long Whitechapel fatberg which went on to spawn a museum exhibition and is being turned into a musical.